The image of meditation oftentimes shows grimly serious meditators sitting for hours intensely focused on their meditation object. The object might be the breath, or an image, or on a topic of contemplation such as impermanence, suffering or no ego. Long rows of monks sit in robes with a single bowl in hand. They appear faceless and utterly removed from the real world. Doing nothing takes on the grim appearance of cut-off renunciates suffering for enlightenment. There’s no sense of humour. That’s not exactly my idea of a good time. The reality of genuine meditation is not like that at all. While it may look deadly formal on the outside, on the inside meditation is informal and relaxed, carefree, open and spacious. Not only that but it is accompanied by a great sense of humour which comes from inner strength and clarity. It is a sense of humour which sees the human predicament of inevitable death and taxes in the greatest possible perspective. The experienced meditator does not take her life path all that seriously. 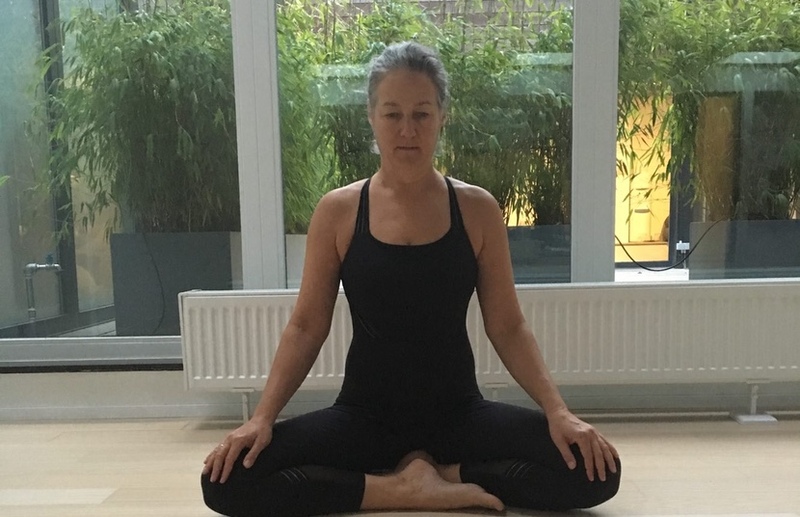 What is it then that keeps meditators going, that drives them to sit in retreats for a day, a week or a year, when there are so many interesting things to do in the world? It’s certainly not the great entertainment provided while watching the grass grow, or the clouds drift by. There is no entertainment in meditation. The vast literature of meditation from traditional and contemporary sources does provide a modicum of intellectual stimulation, but most of them tend to drop you back on yourself, on the cushion and into the next meditation session. Then what is it that makes meditators relaxed and carefree on the inside? What makes them passionate about doing nothing? The answer is found in the discovery of one moment. Let me explain. The future stretches out infinitely before each one of us, and we place a lot of hopes there. The past has formed us as we are now through the repetition of doing and thinking, in the style to which we are accustomed. When through meditation we stop doing and thinking (and speaking), and stop looking forward to the future, we find the single dot of the present moment. That moment is the secret where we discover the original passion for life. The discovery depends on not taking the project of this life and meditation too seriously. Finding the original source of our passion, the passion that occurs before we get entangled in it’s web of life complications, is wonderfully joyful and delightful. The meditators who seem to be seriously meditating are merely going back to the origin of time: that exquisite being on the dot between the past and the future. They have discovered a secret elixir, but they don’t usually preach about it. That would be much too serious! Are you interested in the dot? Find us on a retreat in one of our exquisite locations. 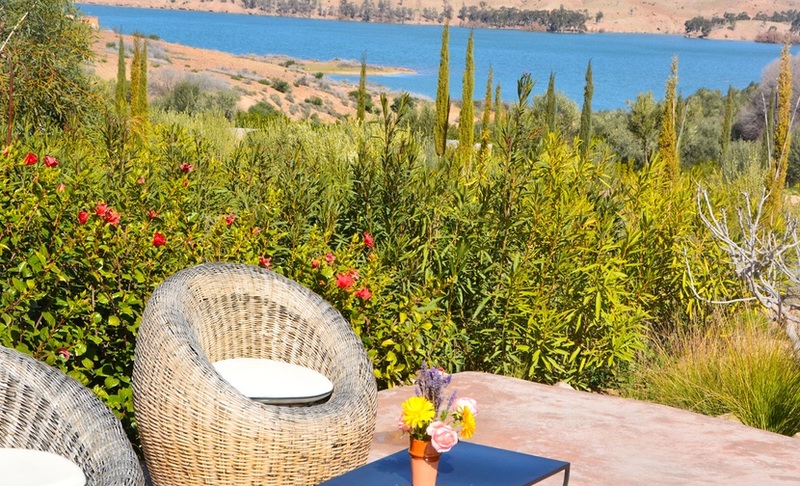 Join our Morocco Countryside New Year Retreat (28 December – 3 January). A relaxed atmosphere, just the right amount of yoga and meditation, delicious food and highly experienced teachers let you relax in the dot. Here’s our post on this location. The next retreat is at our Morocco countryside venue on 23 – 29 September. There’s still a few spaces left and plenty of flights from the U.K. and elsewhere!